Street photographers from all over Europe will be there such as Jens Krauer, Iris-Maria Tusa and Cristian Crisbasan! Also well known Greek street photographers such as Maria Kappatou, Thanasis Stavrakakis, Kostas Delchas, Andreas Paradeissopoulos (a.k.a Andreas Paradise) and other street photography influencers and of course we will be there the Phos organisers, The Bulb Collective, iFocus and Streethunters.net! So book your tickets, reserve your rooms and head to Athens for this amazing meetup that will excite you! 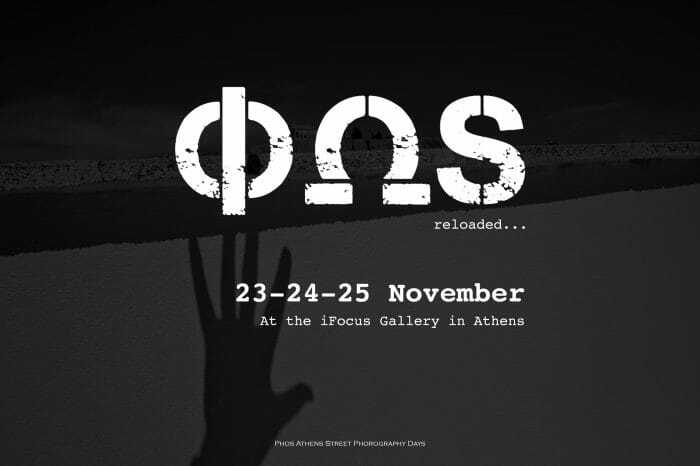 The Phos Athens Street Photography Festival 2018 will take place on November 23-24-25 at the iFocus Gallery and in the gritty streets of one of the most interesting capitals of the world, Athens! Make sure to keep yourself updated by visiting page https://www.phosathens.info/program-2018.html for regular updates to the event schedule!